The end of 2013 is quickly approaching, but there’s still time to see some of the year’s best exhibitions. Here’s my list of 8 great things to do over the holidays with your family and friends. 1. 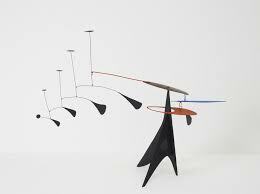 Calder and Abstraction: From Avant-Garde to Iconic, LACMA (through July 27, 2014). This retrospective brings together fifty Alexander Calder sculptures in an installation designed by architect Frank Gehry. Using ordinary flat sheets of metal and thin wire, Calder created extraordinary abstract mobiles that revolutionized the world of modern sculpture. James Turrell is another LACMA must-see (see my review). Both exhibitions require advance tickets, and both made KCRW Art Talk’s list of this year’s best. 2. Face to Face: Flanders, Florence, and Renaissance Painting, The Huntington (through January 13, 2014). Face to Face illuminates the important role that 15th Century Flemish artists played in the Florentine Renaissance. This elegant and intimate study of the periods’ master painters blew me away — the realistically rendered details in one portrait literally gave me chills. Named L.A. Times “Top 10 Art” pick of the year. And don’t forget to check out the new look of the library’s Main Exhibition Hall which just reopened after a year-long renovation. 3. 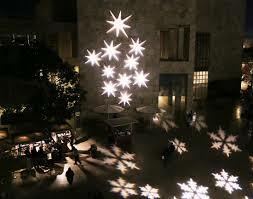 Getty Holiday Lights (every Saturday from 5:30-9:00 pm through January 4, 2014). What could be more festive than an evening stroll through the Central Gardens while enjoying the Getty Center’s holiday lights and spectacular city views. Inside the galleries, you’ll find gorgeous stained glass panels on display from the Canterbury Cathedral in England in Canterbury and St. Albans (through February 2), and mind-altering photographs by Abelardo Morell (through January 5) that will transform the way you see everyday objects. 4. Global Citizen: The Architecture of Moshe Safdie at the Skirball Cultural Center (through March 2, 2014). 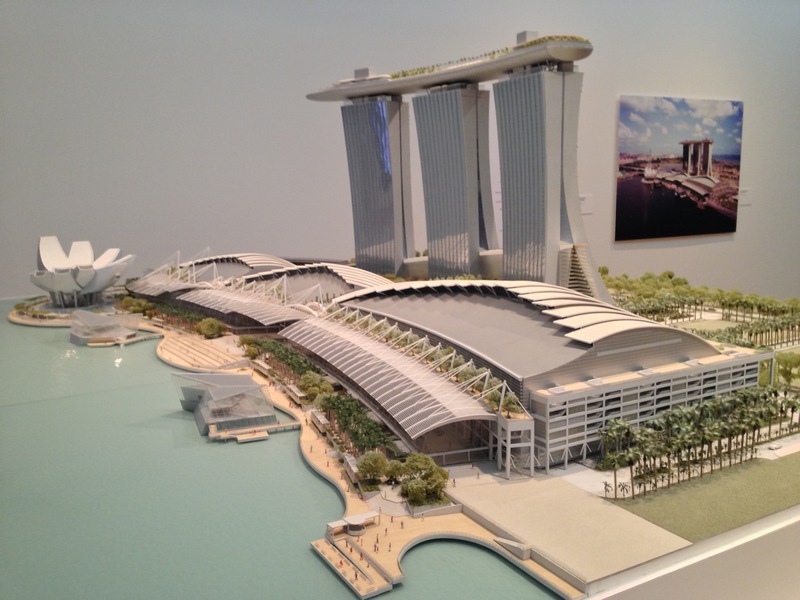 Global Citizen explores Safdie’s nearly fifty-year-long international career — the exhibition includes beautifully rendered architectural models of his projects from around the world, from Israel to North America, and even Singapore where he recently designed the wildly futuristic Marina Bay Sands complex (photo left). See my review for a list of exhibition-related family activities. 5. 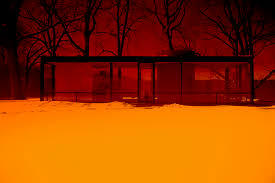 James Welling: Monograph, Hammer Museum (through January 12, 2014). This exhibition presents a comprehensive survey of Welling’s critically acclaimed photographs. I loved seeing Welling’s images and the way they challenge the boundaries between painting, sculpture, and traditional photography. This is a large show so be sure to allow yourself plenty of time to stroll the galleries. Named one of the year’s best by KCRW’s Art Talk. 6. 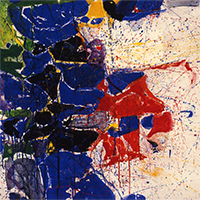 Sam Francis: Five Decades of Abstract Expressionism, Pasadena Museum of California Art (through January 5, 2014). From the instant I saw a Sam Francis mural at the Norton Simon Museum, I was hooked on the artist’s large, brilliantly colored abstract expressionist paintings. This retrospective presents fifty years of Francis’ work, clearly demonstrating why he is considered one of California’s most significant artists. The paintings and works on paper are from private and public California collections, many on public display for the first time. 7. Traveling the Silk Road, Natural History Museum L.A. (through April 13, 2014). Here’s your chance to discover the Silk Road, one of the most celebrated trade routes in history. Recreations of ancient city settings, videos, and hands-on activities allow visitors to imagine what it was like to travel the Silk Road 1,000 years ago. The Museum’s recent renovations include a new Entrance Pavilion featuring a real 63 foot-long whale specimen, and an interactive Nature Lab and Nature Gardens that kids love. 8. What Every Snowflake Knows in its Heart, Santa Monica Museum of Art (through April 5, 2014). This year there’s snow in Santa Monica thanks to artist Yutaka Sone and writer Benjamin Weissman. Together, they’ve transformed the Museum’s galleries into a winterscape filled with their collaborative snow-themed paintings, sculptures, and videos. They even created a monumental ski mountain with roving chairs lifts and ski characters. Afterwards, you can head to downtown Santa Monica’s Ice for some winter ice-skating (through January 20th). If you like this post, please share it and subscribe to make sure your new year is filled with L.A.’s best art and culture. Happy Holidays and see you in the galleries! 1. Alexander Calder, Blue Feather, c.1948, sheet metal, wire, paint. The Calder Foundation, New York. 2. 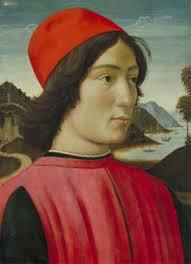 Domenico Ghirlandaio, Portrait of a Man, c.1490, tempera on panel. The Huntington Library, Art collections, and Botanical Gardens. 3. Getty Holiday Lights. Photo courtesy of the Getty Museum. 4. Moshe Safdie, model of Marina Bay Sands complex, Singapore. Photo ©Museum Stories 2013. 6. Sam Francis, Middle Blue No. 5 [detail], 1959–60. Watercolor on paper. Collection of the University of California, Berkeley Art Museum and Pacific Film Archive. 7. Traveling the Silk Road advertising banner. Courtesy of the Natural History Museum. 8. Yutaka Sone and Benjamin Weissman, Grandma’s Closet [detail], 2007. Courtesy of the artists.